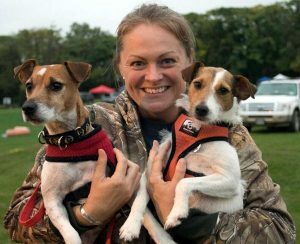 Volunteer for Russell Rescue - Russell Rescue, Inc.
Russell Rescue, Inc. is an all-volunteer organization dedicated to placing unwanted or abandoned Jack Russell Terriers. We have coordinators throughout the United States that arrange for emergency rescues and gather information designed to match appropriate dogs in suitable permanent and temporary homes. Volunteers are needed for everything from transporting dogs to screening adoption applicants over the phone and Internet. Our greatest need is for foster homes. You can become a Russell Rescue, Inc. helper (transportation, shelter contact, behavior counseling, etc). To help with Rescue, please contact a Russell Rescue, Inc. representative in your area. You will be required to fill out a Volunteer application. To become a foster home, please fill out the Volunteer and Foster Home sections of the online volunteer application. You can apply to adopt a Jack Russell Terrier in our network. If you are a breeder, you can breed responsibly and sell your puppies only to families that understand the unique nature of the breed. Learn as much as you can about this breed to make sure that the Jack Russell Terrier is the right dog for you. We don’t want your new terrier to end up back in Rescue. Please review the links and frequently asked questions on our rescue resources page. Donate to Russell Rescue, Inc.
You can donate money to support our network. Donations are used for temporary housing, spaying/neutering, shipping to new homes, veterinarian treatments, etc. Russell Rescue, Inc. is a 501(c)(3) charitable organization. This means that your donations to Russell Rescue, Inc. are tax-deductible.